Sick of swiping right? We are, too. That’s why we created Coffee Meets Bagel, a dating app that gets to the heart of meaningful connections. At CMB, we dare you to dig deep. And not just with anyone – with curated matches who spark your heart. READY TO START YOUR CMB JOURNEY? Sign up with CMB to receive curated matches every day at noon. 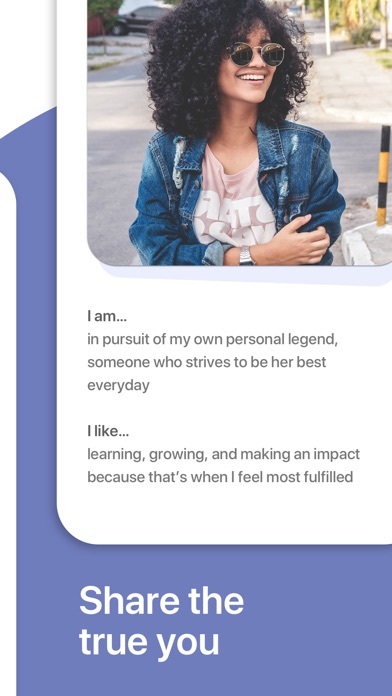 Share the true you and get to know your connections with our in-depth profiles. 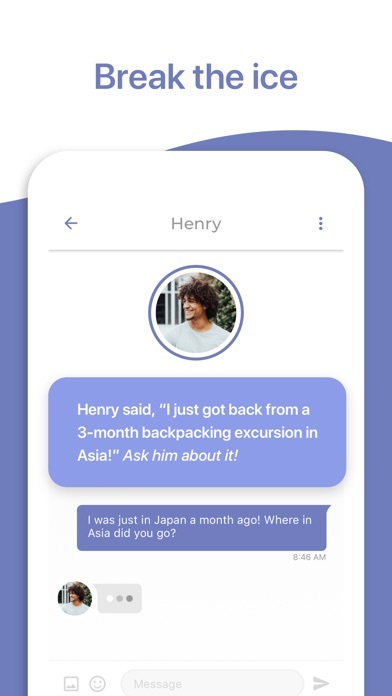 Then, spark conversation with comments, or use our smart Icebreakers to start a smooth Chat. Once you’ve found someone who’s piqued your interest, ask them out! And then put down our app. Get to know your match in person. Make a friend. Fall in love. Surprise yourself. As long as you’re sharing the real you, you’re doing great. Meet people who inspire you. 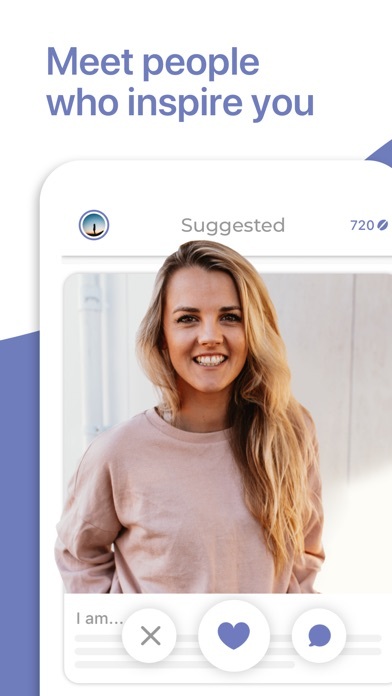 Download Coffee Meets Bagel CMB PREMIUM Subscribe to CMB Premium to use exclusive features that help you focus on matches that mean the most. Here’s a few of the features you’ll have access to: Read Receipts: See when your Matches have read your messages. 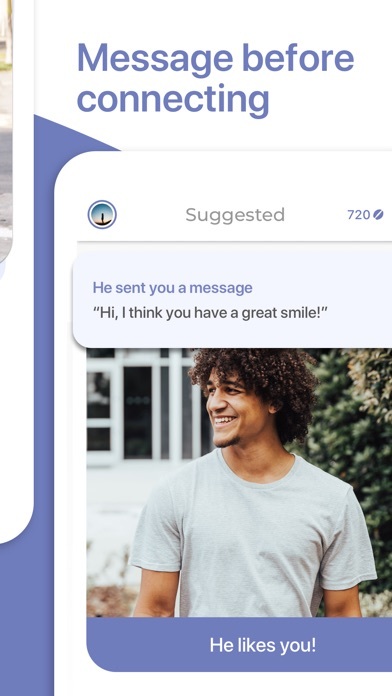 Activity Reports: Get insights into your potential Matches’ chat activity levels, like how likely they are to send the first message. Bundled Deals: Receive more than $50 worth of in-app items that will help you connect faster. CMB Premium subscription prices vary based on country and length of subscription auto-renewal. Payments are as follows: 1-Month Renewals: $34.99 USD per pay period 3-Month Renewals: $74.99 USD per pay period (equivalent to $24.99 per month) 6-Month Renewals: $119.99 USD per pay period (equivalent to $19.99 per month) Annual Renewals: $179.99 USD per pay period (equivalent to $14.99 per month) Subscription automatically renews unless auto-renew is turned off at least 24-hours before the end of the current period. Your account will be charged for renewal within 24-hours prior to the end of the current period. Auto-renewal may be turned off at any time by going to your settings in the iTunes Store after purchase. To see full Privacy and Terms, visit https://coffeemeetsbagel.com/terms AS SEEN ON Shark Tank, The Today Show, Nightline, The New York Times, Marie Claire, Time magazine, The New Yorker, Glamour, Washington Post, and more. TESTIMONIALS “No randos like Tinder.” “The best dating app for women!” PRIVACY 1. Permissions to access notifications are strongly suggested. If access is denied, you will not be notified in real time when you have new Matches and messages. 2. Permissions to access location are strongly suggested. If access is denied, we will not be able to Match you with users near you. 3. Permissions to access your Photos are strongly suggested. If access is denied, you will not be able to upload pictures saved in your Photos to your profile. The app is very confusing, and I found myself going to their support site several times, and still did find the answers. For instance: I got a notification of someone liking me. I was out on the road and I just opened the app to check out her profile. I liked her back, out my phone away, and later when I got home, I couldn’t find the notification, or the history where she liked me, or anything. I email CMB support, and they asked me for her name it a description to help me find her profile, which I didn’t have. So, no history, no way to find people you’ve liked in the past, or that have liked you. I deleted the app, didn’t get my $34 back. Bad experience. I would have given this app 5 stars because I really doesnt feel so ‘artificial’ but there is no way to like someone unless you buy their beans. There used to be a reward for logging in every day but that was once and since then ive been at the same beans. And since it takes 385 beans to even like a profile you can imagine getting +1 bean here or there or +5 beans 1x a day is going to take forever.. unless they because less about $$ i cant give them more than 2 stars. Want to hear a joke? I had high hopes based on reviews but I’m very disappointed with CMB. Theoretically it seems like a good app and I like the interface, but the “algorithm” leaves me with one suggested bagel a day (as a girl). None of those have liked me, and most definitely aren’t my type so I have no idea where this algorithm is coming from beyond basic filters. It’s not helped by the number of men who don’t fill out their profiles...but what was I expecting, as that’s a common feature of every dating app. Additionally, I like that you can’t see a bagel’s name unless you like each other, but capping conversation at one week? That alone makes me reconsider using it. 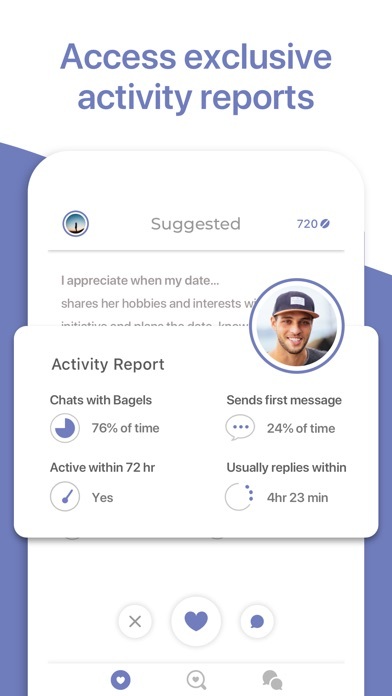 I personally refuse to give out my number on dating apps prior to meeting as I’ve had guys use it to track me down on social media, but CMB backs you into a corner- pay extra for “beans”, give out identifying personal information to a stranger, or ghost- if it takes more than a week for your schedules to align. CMB, have you even considered the weight (some) girls give to handing out their number and the stalking it allows in the wrong hands? Some people asking money when chat. I have many people chat help for money and some are professional. They chat maybe 1-month them they ask money some help like this like that. My account keeps getting flagged and I cannot log in. At first I thought it’s because my eyes are blurred to protect my privacy so then I tried logging in with my moms phone number and kept all my photos unblurred and it still gets flagged. Customer service team replied promptly but is asking for a photo of me holding up three fingers. This app is pretty good so far. But it’s a little shallow. I wished it had a place where we can describe what we would like in a partner, and a place where we can write more stuff about ourselves.